Digital Forsyth | Dance at Reynolda House, 1956. Home › Photos › Dance at Reynolda House, 1956. Dance at Reynolda House, 1956. 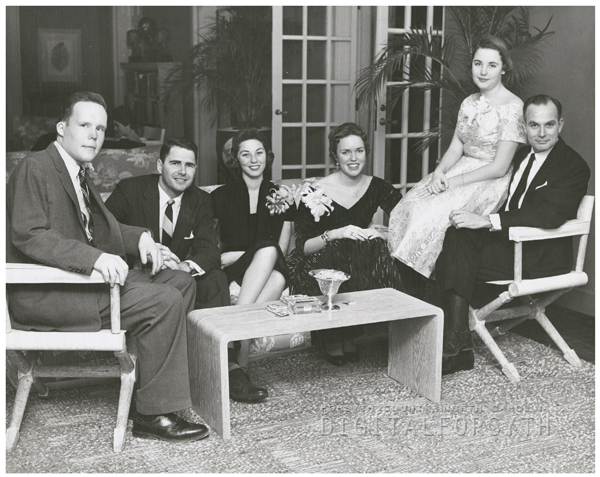 The people are: Charles Babcock Jr., Mr. and Mrs. Lawrence Van Mourick Jr., Barbara Babcock, Melinda Knies, and William Peete.